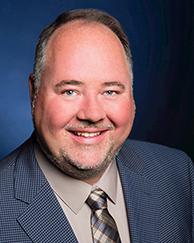 Christopher Krohn, Adjunct Associate Professor of Marketing (effective summer 2016), currently serves as Vice President of Customer Experience for the Sears Holdings Corporation. He specializes in leading retail and hospitality businesses through multi-channel transformations, new business launches, and turnaround situations. Areas of expertise include leadership, strategic management, e-commerce, product management, business development, digital marketing, technology, sales management, and finance. Prior to his appointment at Sears Holdings, he served as President of Restaurant.com, Chief Marketing Officer and VP Business Development of Whitney Automotive Group, Vice President of Marketing for Harrah's Entertainment, and has also served as a Director / Advisory Board member for several startups and non-profits. Earlier in his career, Krohn held a variety of consulting positions with leading firms such as Bain & Company and Accenture. An alum, Krohn earned his MBA from the University of Chicago Booth School of Business in 1997. Additionally, he holds a BA from Northwestern University.